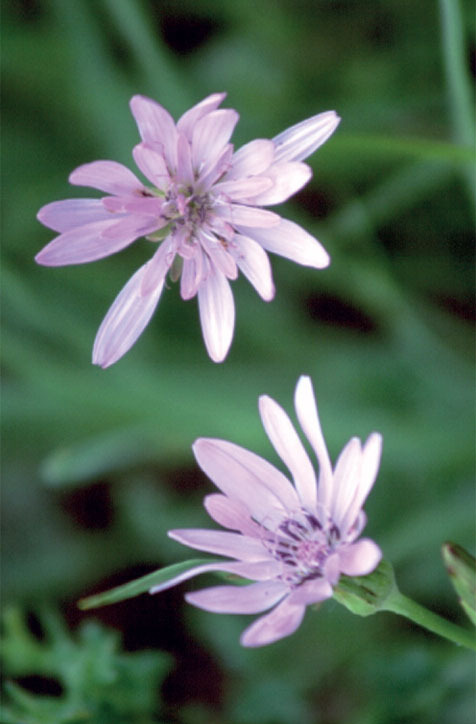 A­ slender,­ branched­ plant ­with­ grass-like ­leaves ­and­ solitary,­ upright,­ branched­ ﬂowering­ stems, ­each­ with­ several­ pale­ lilac ­ﬂowers. 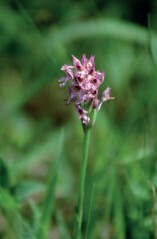 A small orchid, with unspotted spear-shaped leaves and a slightlyuntidy, short cylindrical spike of pink ﬂowers dotted and lineddarker purplish-pink. 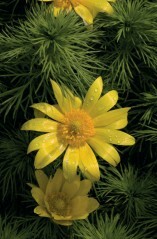 Forming upright clumps of feathery leaves and yellow flowers, usually on south-facing slopes, often in large numbers; protected but widely collected as a medicinal plant.